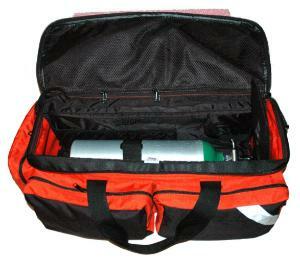 Meets the needs of any responder who needs to carry oxygen. The FTX AirPack Plus meets the requirements of any Emergency Responder that needs to carry oxygen together with their medical supplies. 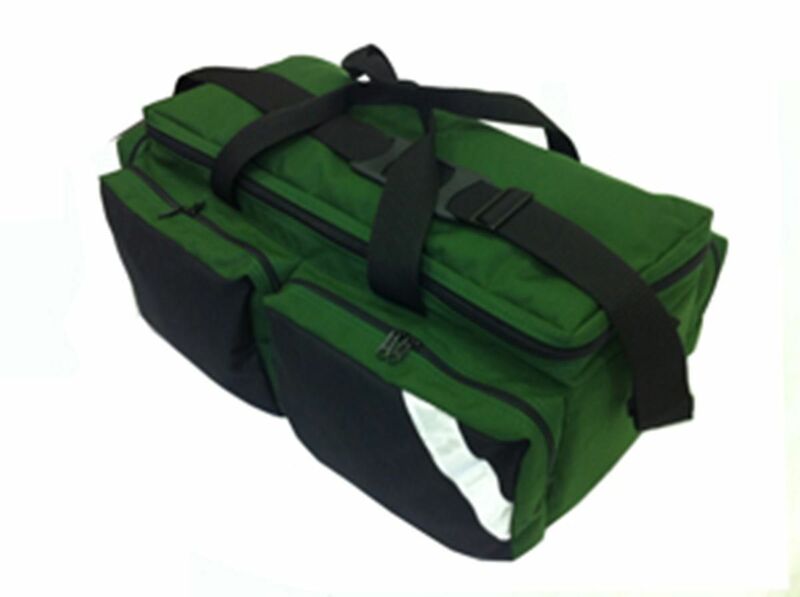 The main compartment has a Velcro strap for "D" or "Jumbo D" cylinder. 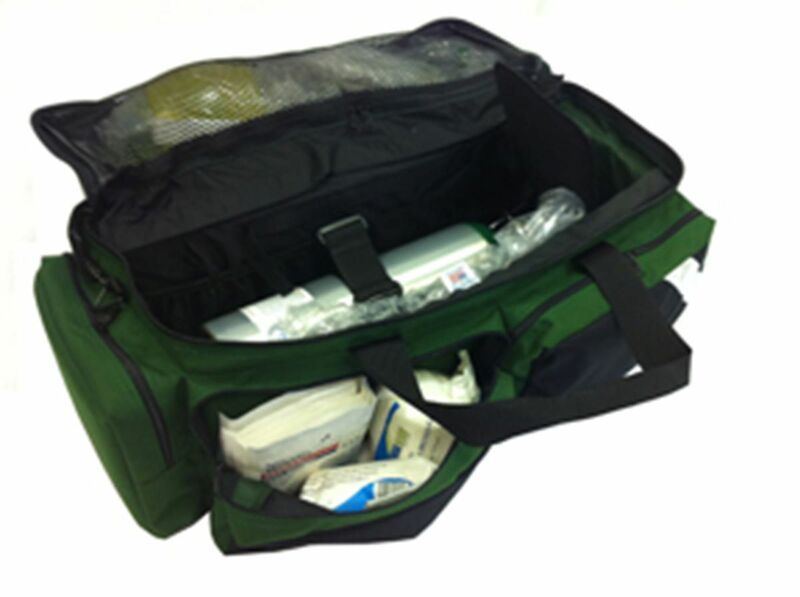 Interior mesh pockets allow quick access to masks, cannulas and airways. Fold-back lid has large zippered storage pouch to store B-V-Ms, extra masks, etc. Double front pockets make organizing your medical and trauma supplies simple. 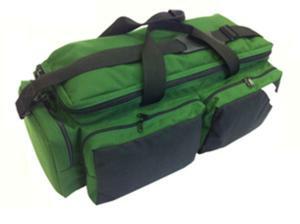 Full length rear pocket holds longer items like collars, bulky dressings and splints. At one end, we placed a zippered pocket for small items while the opposite end has a pouch for quick access to gloves, scissors, penlight, etc. Vinyl coated bottom protects this case from fluid intrusion. Heavy duty YKK zippers and double stitched, reinforced seams make this an excellent choice. 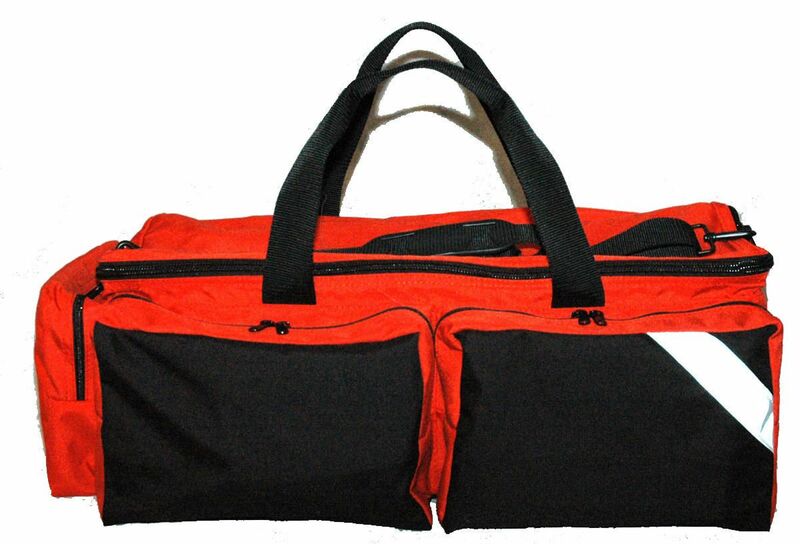 Dual handles and shoulder straps included. 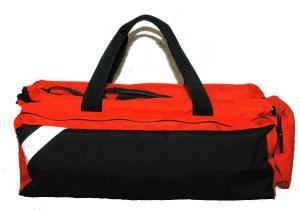 Bag constructed of 1000 Denier Nylon.